This may or may not be meaningful to you. Personally, I’m not much of an outdoorsman. On a recent 1500 mile trip I was overwhelmed by the powerful imagery of (and similarity between) the way I found myself watching for deer and the ways in which I seek people who are not-yet-Christian. 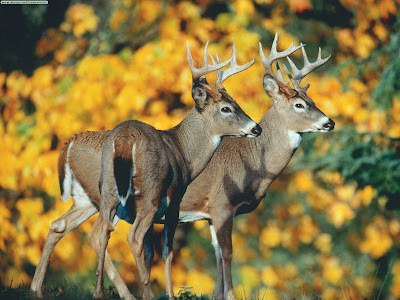 This story will contain the deer part… hearing the parable is up to you. One can have a desire to see our fury friends and cease to lay eyes on a single one. There are several keys that I found helped me to see the deer. In a little less than two hours I saw 18 live ones and 9 of the other kind. As I was watching for and seeing these beautiful creatures I noticed that there were other things vying for my attention. They weren’t necessarily bad things (though some were). But these things made it very difficult for me to see the deer. I’m sure experiences vary and geography has much to do with my fortune of seeing so many deer in such a relatively short amount of time. This caused me to think… what were other realities that I was facing as part of this process? I learned much that day. Truthfully I’m pretty sure I would have remembered it all without writing it down. But now you can know the story too.